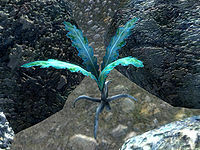 Netch cabbage is a type of flora that grows in Vvardenfell. 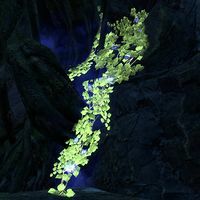 Nereid's Smile is a blue, fluorescent flower that grows in the Greenshade. 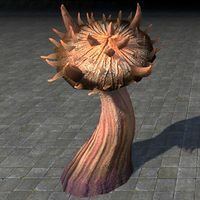 Netch Shields are enormous mushrooms with broad caps. 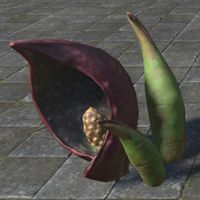 They are native to the volcanic island of Vvardenfell. 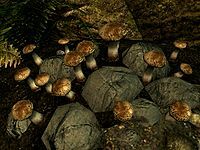 Nettlecap are pointed ended mushrooms that grow in the Spiral Skein, Mephala’s Realm. 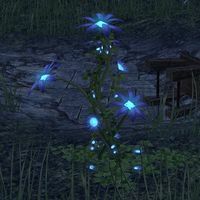 A vine plant with blue flowers as well as phosphorescent blue glow, which grows in certain places in Murkmire such as the Echoing Hollow. 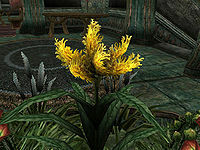 The Argonian tribes' egg-tenders and tree-minders have various uses for the plant. 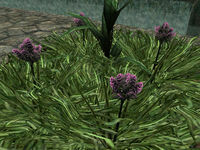 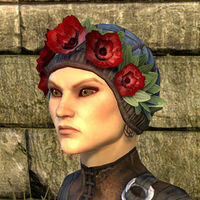 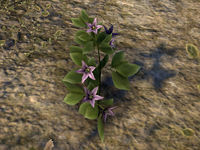 A poisonous plant with bright purple flowers, common all across Tamriel. 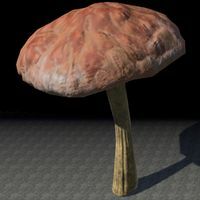 This page was last modified on 31 March 2019, at 13:47.